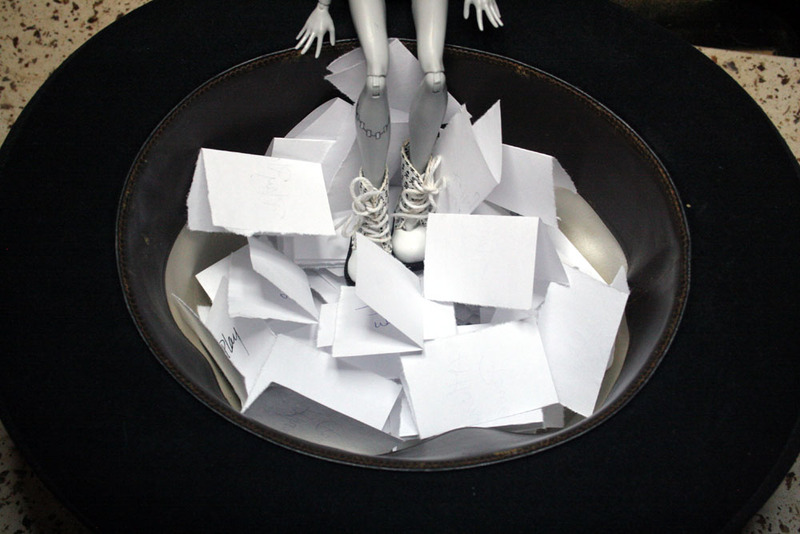 The May Drawing happened with great anticipation this morning. We shot photos, of course! 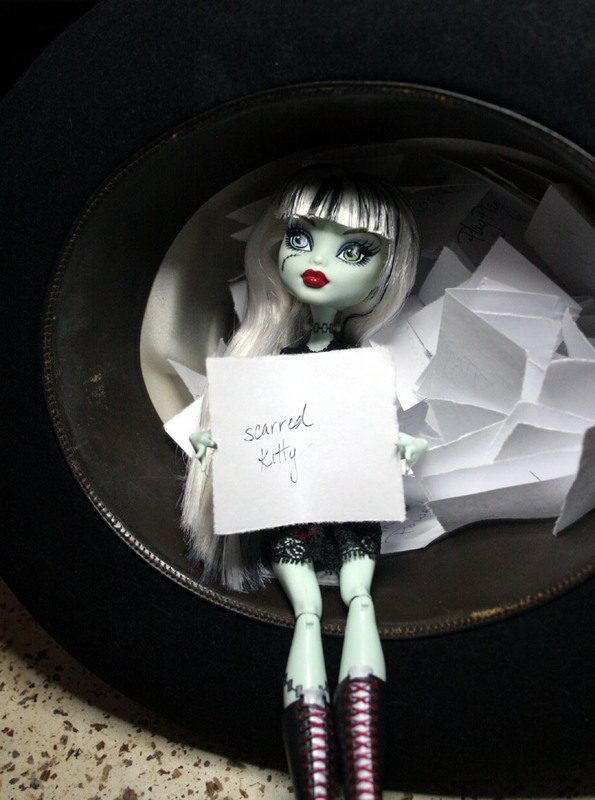 The Secret Last Prize added is in the photos below, as is the Winner of this Month's Drawing! Now, here is another Secret! If you were a non-winning entrant, put a comment in on this post, and send your name and address to : pbvanchance@hotmail.com and recieve a small gift for participating in this month's drawing! PB is not fond of anyone losing, and she insists. So look at the pics, add a comment and shoot us an email- you have nothing to lose! That is a lot of entries! Frankie, camera is over here dear! 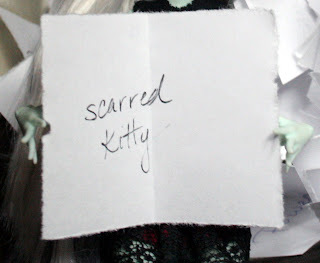 Scarred Kitty is Our Winner! Along with all the other goodies, she gets a pair of boots with teeny skulls on them! 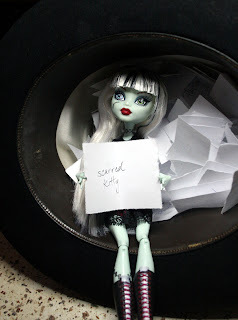 Well, no photo yet- but PB will be documenting in her photos a new custom Monster High Doll. You can see what she does, A-Z.﻿ So come back and visit us! 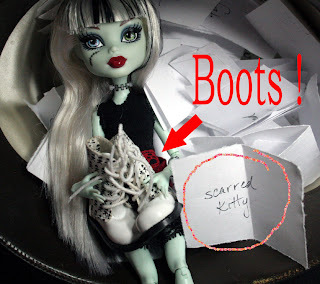 What adorable boots! Congrats Kitty.